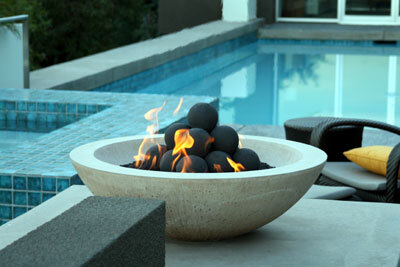 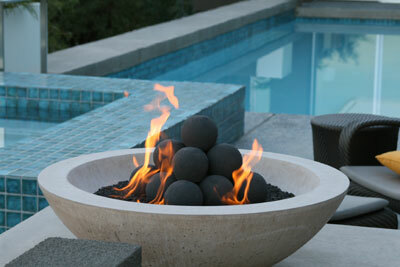 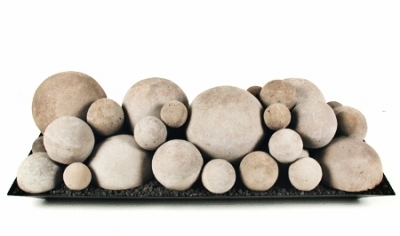 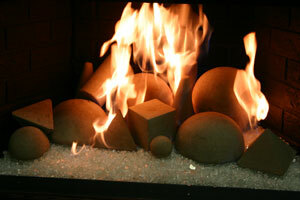 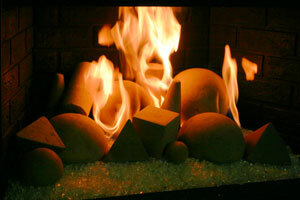 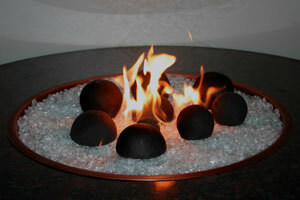 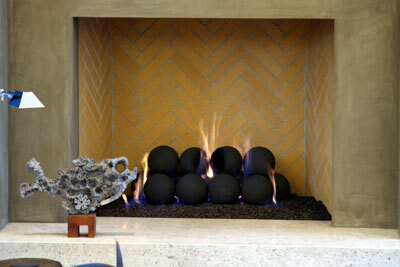 Decorative geometric shaped ceramic objects for fire pits or fireplaces. 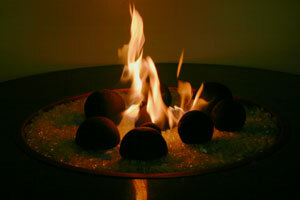 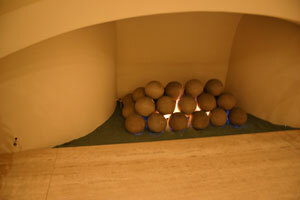 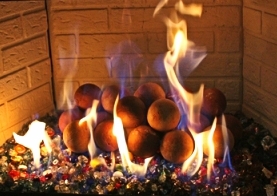 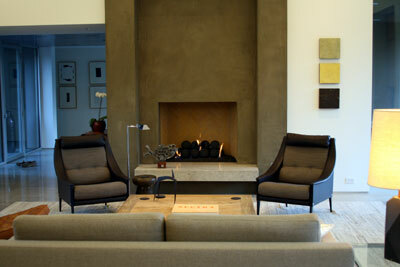 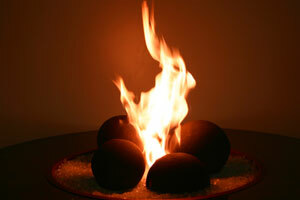 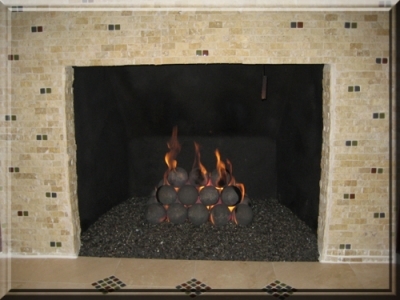 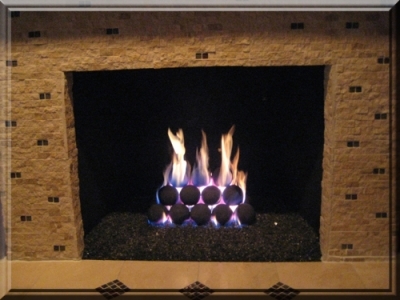 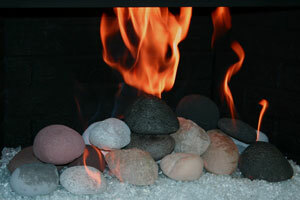 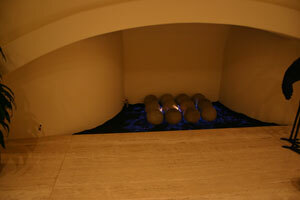 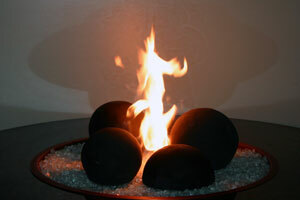 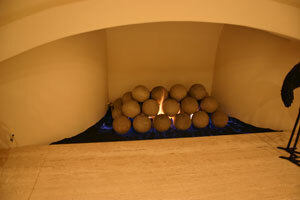 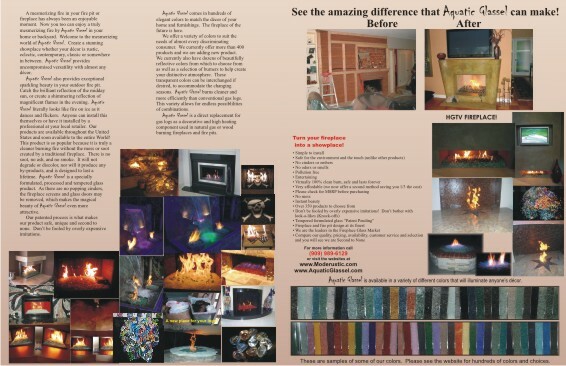 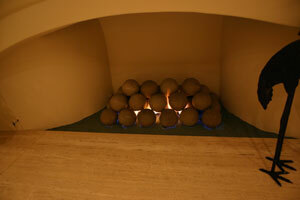 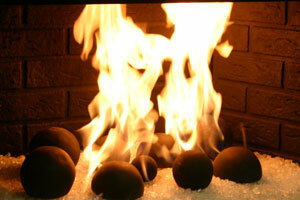 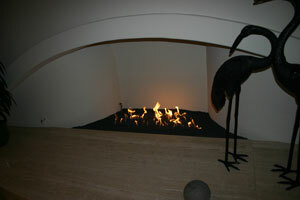 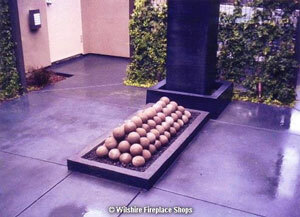 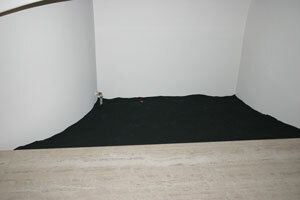 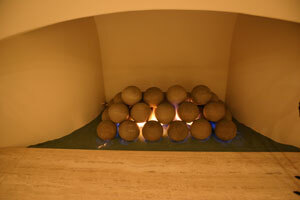 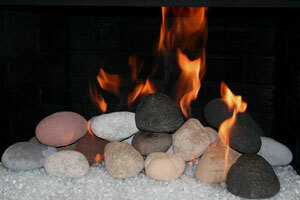 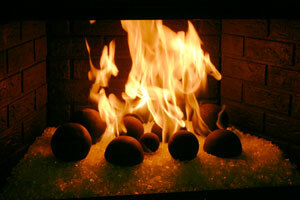 Fire balls and fire rocks for fireplaces. 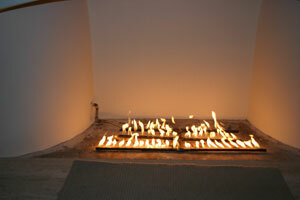 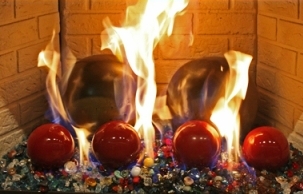 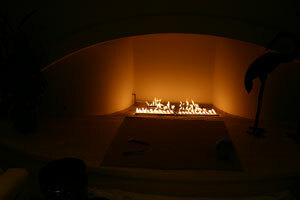 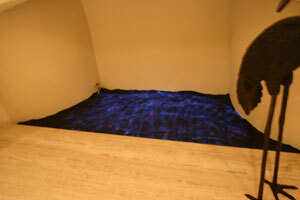 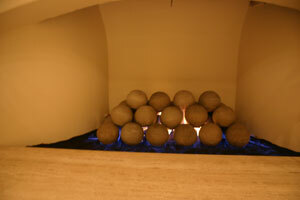 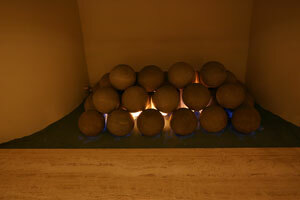 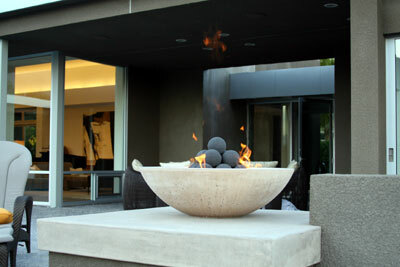 Then we added the 6" Gray solid FireBalls to the top of the Bronze base glass. 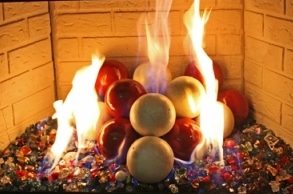 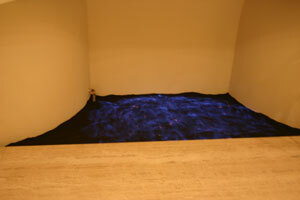 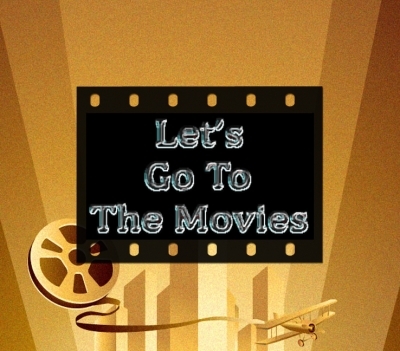 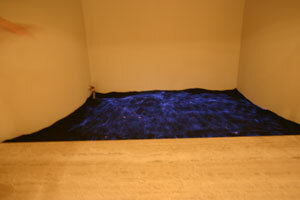 MFB6-18A. 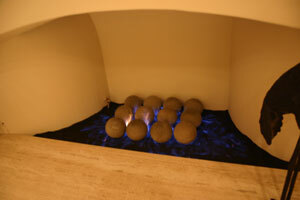 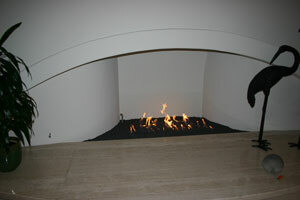 A set of (8) 6" solid Fire. 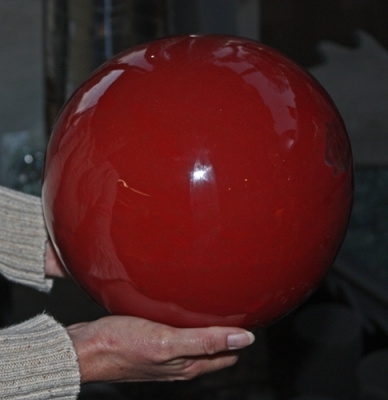 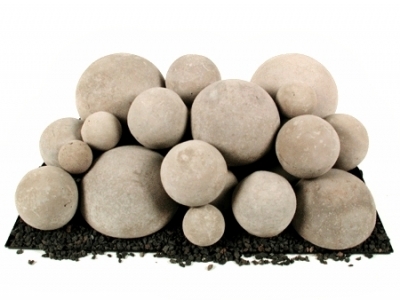 A Set of (8) 6.625" Dome (half-spheres). 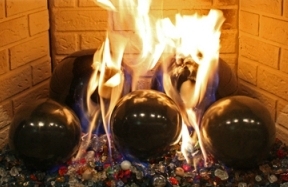 Along with the Ceramic Fire Balls, you will see our Classic Diamonds on top of our popular Starfire fireglass and several Toppers.